Powered by South Tyrol Weather. Welcome in our flats, appartments and suites with pool and wellness center in the south of South Tyrol. 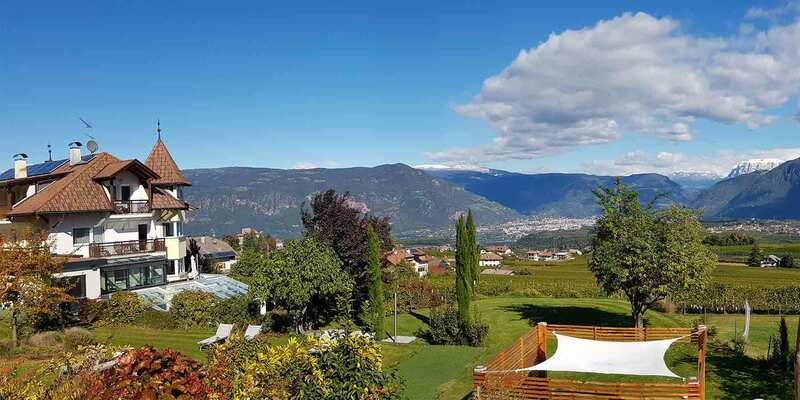 Our property is situated in a quiet area embedded in the typical vineyards of Überetsch with a wonderful panoramic view to the surrounding Dolomites having among appartements and comfortable suites. Eppan in the center of wine region or in Italian language Appiano is situated next to the capital of South Tirol - Bozen/Bolzano and about 30 km to Meran/Merano and 140 km to Verona, the next bigger Italian city.